In April 2017, the American Institute of Architects announced the release of its newest contractor, architect, and subcontractor agreements. These documents – which include the A101, A102, A104, and A105; the A201; the B101, B102, B103, B104, and B105; the C104; and the A401 – are updated once every decade. Because AIA form documents are easily the most-used documents in the industry, each update has a substantial impact on owners, contractors, and architects. While many of the 2017 changes to the 2007 AIA documents were simply for clarification or simplification, others represent a clear departure from the prior language. This is particularly the case with respect to provisions within the prior forms that were either routinely the subject of modification or that, if left unmodified, often became surprise trip points for one side or the other when problems arise during construction. We have highlighted the most substantive changes of the Owner/Contractor and Owner/Architect agreements, and what those changes mean for owners and contractors. This Client Update concerns the Owner/Contractor Agreements – the A101, A102, and A201. Frequent users of the AIA documents will immediately notice that the timing provisions that used to be mere “fill-in-the-blanks” are now in a “check-the-box” format. For example, Section 4.1 of the A102 (found also in Section 3.1 of the A101) concerning date of commencement used to state that the date of commencement “shall be the date of this Agreement unless a different date is stated below[. ]” Now, the parties are required to check one of three boxes. If no box is checked, the default date of commencement is still the date of the agreement. However, this new format forces the parties to discuss the provision, instead of perhaps relying on the default without much thought. Given the importance of the commencement date in calculating the substantial completion date, which is by far most legally significant date on construction projects of any significant size, this is a welcome improvement. Far too often, when project delays occur and the parties need to dust off their construction contracts to determine their rights, they are surprised to learn the contract’s required substantial completion date is in question due to wholly avoidable confusion over the contractual date of commencement. Hopefully, the new changes will minimize the instances of such confusion. A similar change also appears in the section regarding substantial completion itself. The payment provisions, specifically those concerning progress payments and how they are calculated, have been simplified. Instead of one list of items to add and subtract from the payment amount, the new form separates the guidelines into two lists: items to be included in payment applications, and items to be deducted. Another significant change to the payment provisions is the addition of a separate section for retainage. Retainage was previously included within A102 § 12.1.7 as a single line item. Now, however, the parties are prompted to discuss and consider the retainage percentage, items that are not subject to retainage, how and when retainage can be reduced, and other common issues that arise with regard to retainage. This change reflects industry understanding that terms regarding retainage can often be more complex than simply stating a percentage. Also of note, the A101 and A102 now include a provision regarding terminations for convenience. The forms contemplate that the owner will pay the contractor a termination fee in the event of a termination for convenience in accordance with Article 14 of the AIA A201 General Conditions. This change must be read in conjunction with the edits to the termination provisions found in the A201 § 14.4, discussed below, which no longer entitles the contractor to overhead and profit for work not performed in cases of termination for convenience. The AIA made significant changes as well to the A201 General Conditions, which accompany the A101 and A102. One of the most obvious is to A201 § 2.2.1 – now § 2.2.1 through 2.2.4 – concerning evidence of the owner’s financial arrangements. The 2007 provision on this subject was short and simple: prior to commencement of work, the contractor had to right to request that the owner provide reasonable evidence of financial arrangements to satisfy the owner’s payment obligations. After commencement, the contractor could still request such information, but only in limited circumstances. While the contractor was entitled to delay commencement or continuation of the work in the A201-2007, there was no strict deadline by which the owner had to provide the information. And there was no express entitlement to additional time or money. In the new form the owner must still provide such information prior to commencement of work, and upon the contractor’s written request. However, if the owner fails to do so, the contractor is now allowed to delay commencement of the work. And the contractor will be entitled to an extension of the contract time if such delay occurs. After commencement of the work, the circumstances under which the contractor may request this information are still limited. But if the owner fails to provide this information within fourteen days of the contractor’s request, the contractor is entitled to stop work. If the basis for requesting evidence of the owner’s financial arrangements is that there has been a change in work that materially changes the contract sum, the contractor is only permitted to stop work on the portion of the work affected by the change. The term “material” remains undefined, however, which has led to and will likely continued to lead to disputes regarding whether the contractor is entitled to request such information. However, the consequences of the request and the owner’s failure to provide the information are now more pressing. Additionally, the contractor is entitled to an extension of the contract time as well as an increase in the contract sum for reasonable costs of shutdown, delay, remobilization, and interest “as provided in the Contract Documents.” This statement indicates that a no-damages-for-delay clause, if permitted by state law, would likely operate to bar such costs. Former A201 § 2.2.1 was always a very important provision because of its ties to Article 14 concerning termination. If the work was stopped for a period of thirty days due to the owner’s failure to provide evidence of financial arrangements under § 2.2.1, the contractor was entitled to terminate the contract for cause. This is still the case in the A201-2017. Therefore, this provision will continue to be a topic of discussion and considerable indigestion for owners. We anticipate our clients will amend the new language to limit its impact. Project-specific amendments that we typically recommend, which add greater clarity to the potential reach of this clause and thus benefit both parties, include agreeing up-front to what constitutes “reasonable evidence” of the Owner’s financial arrangements, and to what constitutes a “material change” to the Contract Sum, sufficient to trigger the clause’s application during the course of construction. Whereas the prior A201 § 4.2.4 required that the owner and contractor communicate through the architect, the new language authorizes and encourages the owner and contractor to communicate directly. However, the architect still must be included in the conversations regarding matters that affect the architect’s services. A201-2007 § 7.4 authorized the architect to order minor changes in the work that do not affect the Contract Sum or require an extension of the Contract Time. This is still the case in the A201-2017. However, the language now specifically authorizes the contractor to withhold performance where the contractor believes that the change is not minor and instead affects the Contract Sum or Contract Time. In this case, the contractor may refuse to perform until the parties come to an agreement or until a Construction Change Directive is issued. Under the prior language of the A201, in the event of an owner termination for convenience, the contractor was entitled not only to payment for executed work and costs incurred as a result of the termination, but also overhead and profit on work not performed. Now, the language obligates the owner to pay the contractor for work properly executed, costs incurred as a result of the termination (including costs attributed to termination of subcontracts), and the termination fee set forth in the A101 or A102. The new termination fee effectively replaces the entitlement to reasonable overhead and profit on work not yet performed. This is a welcome change because – although it requires negotiation of the termination fee on the front-end (something many sophisticated owners and contractors already negotiate and modify the AIA forms to include) – it provides greater certainty on the back-end. If the owner terminates the contract for convenience, the in-place, negotiated termination fee means the parties will not need to wrangle over what constitutes “reasonable overhead and profit” on the work not performed. Perhaps the largest change to the Owner/Contractor agreement forms is the inclusion of a new comprehensive insurance exhibit to be attached to the A101 or A102. This is a drastic departure from the 2007 documents, where insurance requirements were included as Article 11 of the A201. The new Exhibit A is incredibly detailed, particularly when compared to the prior insurance language in the 2007 forms – it consists of seven pages of terms, fill-in-the-blanks, and check-the-boxes. We have found that many of our owner-clients have already developed their own insurance exhibit to be used with every contract. These exhibits are usually developed with the assistance and guidance of counsel and our clients’ risk management consultants. As a result of the use of such exhibits, contract negotiations included substantial modification to A201 Article 11 – or even wholesale deletion of the content of Article 11, with reference to the exhibit. Now, the A201-2017 Article 11 language is more generic in nature, and is intended to be used in conjunction with a separate exhibit. Thus, while Article 11 will still likely require some modification during contract negotiations to ensure that it is consistent with the insurance exhibit, the extent of the modifications will be substantially less involved. While the changes detailed above are the most noteworthy, this is certainly not an exhaustive list. The AIA has altered nearly every provision of its forms – from what costs to include in the Guaranteed Maximum price, to what a contractor must include in its schedule of values. Reach out to us to gain a better, more individual understanding of how these changes affect your upcoming projects. 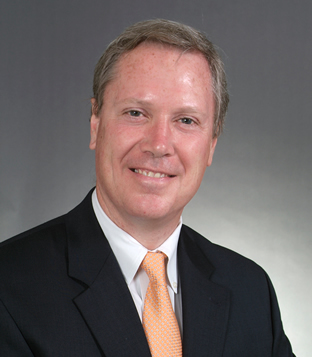 John McKenna is a Partner in our Construction Practice Group and has developed an extensive library of custom form construction contracts, tailored for differing jurisdictional requirements, client needs and asset types. 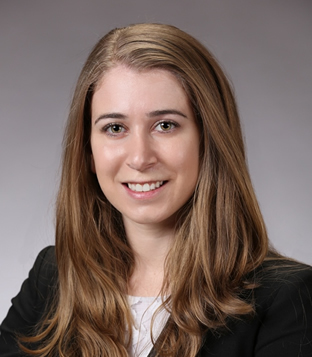 Allison Geewax is an Associate in our Construction Practice Group and negotiates contracts on behalf of owners and contractors.